Stress on the kind of. I don't care for the hassle, getting up ridiculously early (when we left Germany, I had to get up at 2:30am), the looong flights. Not to mention I'm a little scared of heights...and my biggest fear is crashing in the middle of the Atlanic and being the only survivor. Bobbing in the sea, not knowing what's underneath me, absolutely terrifies me. That I can handle. Definitely. I got a bit snap happy. 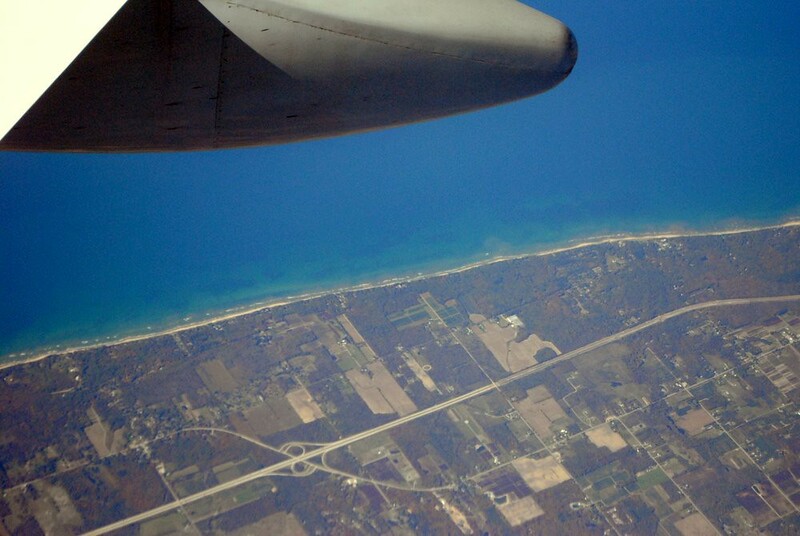 I love this last one overlooking Lake Michigan (I think) -it felt like I was looking at a Google Earth map. It felt weird that I was actually that high and wasn't looking at a map. 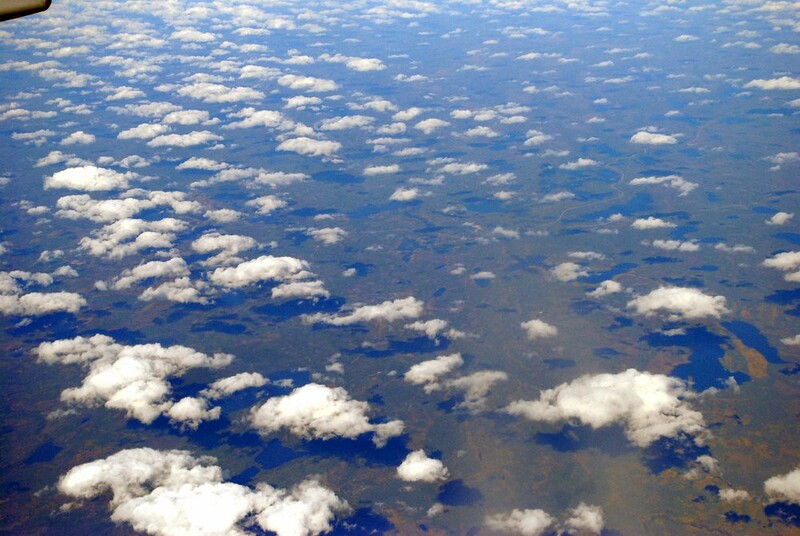 But I'd still take having my two feet planted firmly on the ground over soaring seven miles above land any day. 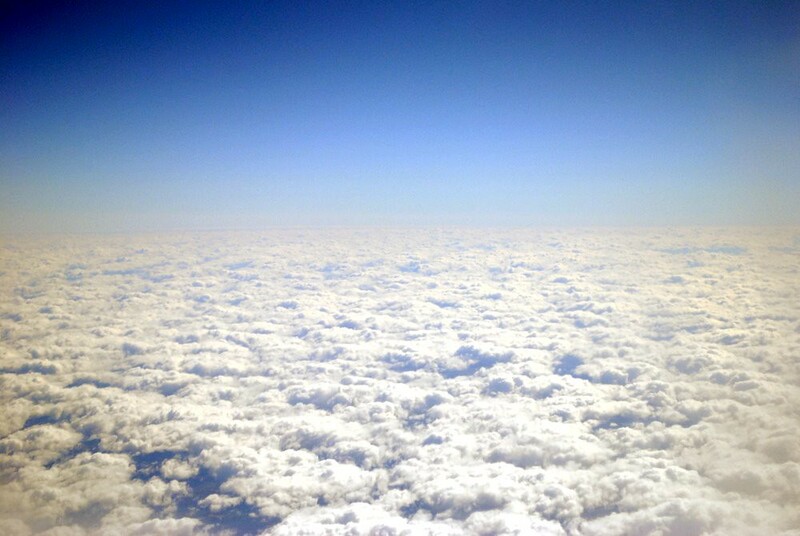 Flying. Do you love it or hate it? Or are you somewhere in the middle? Do tell!